Eli Klein Fine Art is pleased to announce Temperature of Time, Jiang Huan’s first solo show in New York. 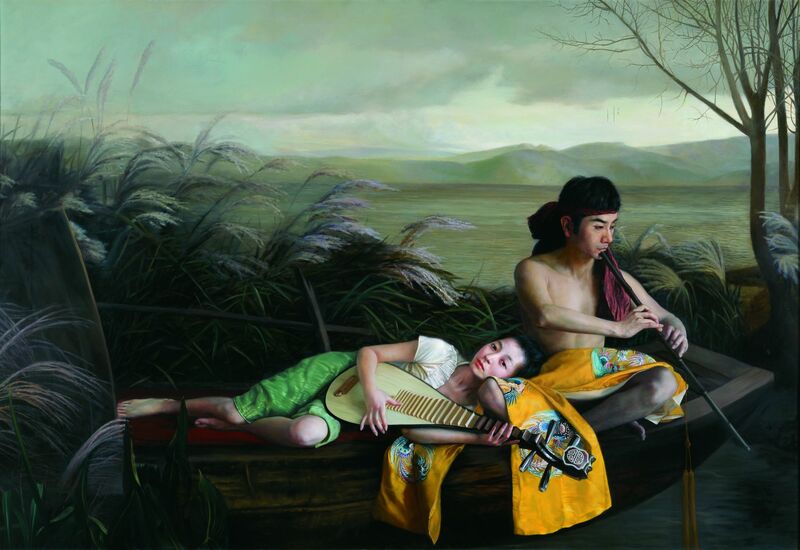 A Chinese contemporary realist painter, Jiang Huan is engaged in a foreign craft explored only since the beginning of the 20th century by artists and art schools in China. He masters the oil painting technique to such an extent that the figure and scene seem alive. 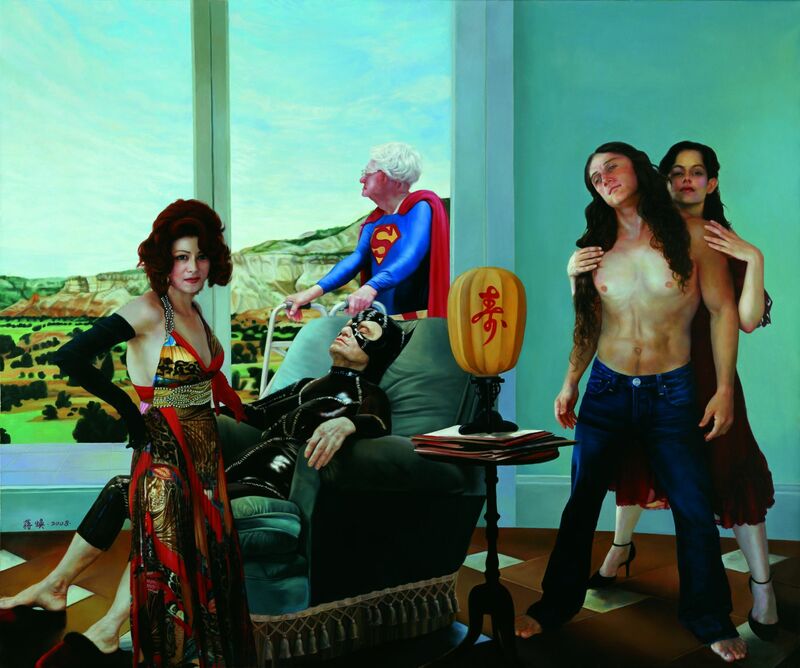 The painter’s desire to create a realistic portrait of ideal beauty allows the spectator to draw a visual parallel with such painters as Ingres, Hans Holbein, Jan van Eyck, Raphael and contemporary Chinese artists Ai Xuan and He Duoling. The renderings appear so realistic that it is surprising that the scenes and landscapes are painted in the studio, as the old masters of the craft had done and not on site. Shiny, velvety brushstrokes are used to create the illusion of flesh and texture of the skin. The aesthetics of his works have a very distinctive quality and belong to a different culture than the Western masters for more reasons than the ethnicity of the sitter. The artist is inspired by Chinese classical traditions, the Chinese Opera being a source from where he draws his “mise en scene.” His model and muse, a student from the Central Academy of Drama in Beijing, embodies the ideal woman in the artist’s heart. He also draws inspiration, in his own words “from things and people around me, the kindness I have ever experienced and perceived, and also my pursuit and longing for beautiful things since my childhood.” Jiang Huan depicts women caught in a moment of contemplation that encourages the viewer to suggest his or her own narrative. The spectator is captivated by the intimacy and isolation of the painter’s subject. An extremely dedicated artist, Jiang Huan meticulously paints layer after layer on the canvas until he achieves the level of perfection in rendering and surface which he demands. Temperature of Time, on view from September 1st to October 15th, is accompanied by a fully illustrated catalogue. Jing Huan's solo show, "Temperature of Time" is featured in Art.Base.